* Good to know: We do not have transfers between Budapest Airport and old town. No pick-up in railway station or bus station. We take you to any easily accessible town of the close countries or any other popular places and touristic destination of yours. During the trip we stop at tourist destinations like castles, old towns, lakes, depending on your decision. For more info and prices, please contact us. You can choose either to travel via castle, lake, historical place or little town and stop there for a short visit or just a lunch. With us you get great flexibility as you qan select the stops on the way. We save you time as travel time is reduced by nearly 50%, because you do not need taxis, trains or buses between the places, so with us you might even save money. Private Transfer Budapest has been active for more than 10 years, with providing activities ranging from private transfer services for smaller events and business travel for business people to the organized trips for tourists on holiday in Central-Eastern Europe. We offer airport, hotel, port, train station transfers or transfers between two cities (direct and with stop on the way) in non-smoking, air-conditioned cars, minivans or minibuses. We provide also individual transfers from or to abroad countries as well. Our drivers international experience is the guarantee of the transfer quality. For many years all our drivers have performed a professional job by responding to every need of classy transport and ensuring maximum confidentiality in all circumstances. We pay attention to the needs of our customers, especially to children and people with disabilities. Our company upon request will provide foreign language guide, interpreter or bodyguard. Chauffeur driven car hire is the ideal combination of taxi and the car hire for comfort plus cost-effective price and when you hire a car with driver, your journey will be safe. Our vehicles and drivers are insured. Our fleet is comprised of up-to-date, mechanically safe vehicles with high security features. For optimum comfort our vehicles are also equipped with air conditioning and additional heating. Private Transfer Budapest garage will guarantee all of this and ensures the safety of care of all our clients. 1. Professionalism: Private Transfer Budapest as a company guarantees you always professionalism and care from both our office team and from our driver team. 2. New vehicles: Private Transfer Budapest provides you always the new models of vehicles and are all licensed under the strict Hungarian laws. This is also applied to our driver team and to everyone who is travelling with us. We have full insurance (all documents can be obtained from us at any moment) which are also always carried on site in the car, so you can ask to see it anytime. 3. English speaking drivers: Private Transfer Budapest guarantees when you decide to choose us that the driver will speak fluent English(other language we will accommodate as well). Your driver will be punctual, well groomed and educated. 4. Immediate response to all your questions: Private Transfer Budapest offices are open for 12hrs / day (Monday till Sunday), so you will always have an immediate response to all your questions. 5. 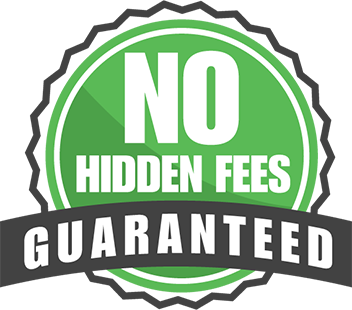 Competitive rates: Private Transfer Budapest guarantees honesty and competitive rates, with no hidden fees and prices agreed upon are all advertised on the website (so all is clearly stated) and are always respected. Partnership program for Travel Agencies & Resellers - We can help you improve your sale, help your clients, and start earning extra income - Offer your clients reliable and comfortable transfers between tourist places - Fast and secure payment via PayPal online bank - We will organize the transfer, customers will enjoy the service and you will get a reward - For more info, please contact us. "We were a group of 6 adults (with an elderly) with a lot of baggage travelling from Salzburg to Budapest and also from Budapest to Krakow. The car provided was spacious enough (9 seaters) for all of our belongings and there were enough leg space. We suggest to opt for one of the "stop-midway" option to rest and also experience the atmosphere of villages/attractions nearby. The driver was very friendly and professional and he came right on time. Good service. Recommended!" 1️⃣ Private transfers are often cheaper than taking shuttles or trains (especially for families and small groups). 2️⃣ Forget the crowded trains and busses and do not worry about time tables, just enjoy our door-to-door transfer service. 3️⃣ Book easily your transfer and relax. Your convenience, comfort and safe transport is the top priority for us.